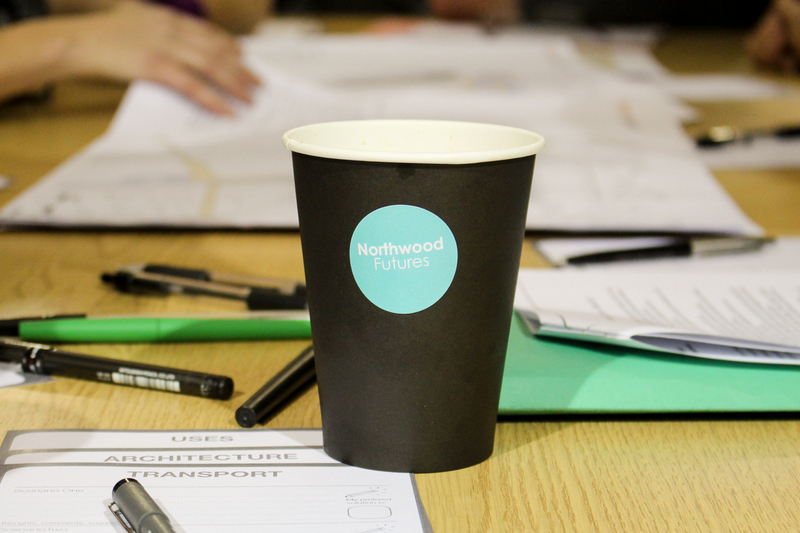 We were commissioned to work with with the community of the northwest London suburban town centre of Northwood, in order to explore the possible futures for TfL-owned sites in a collaborative and open way. 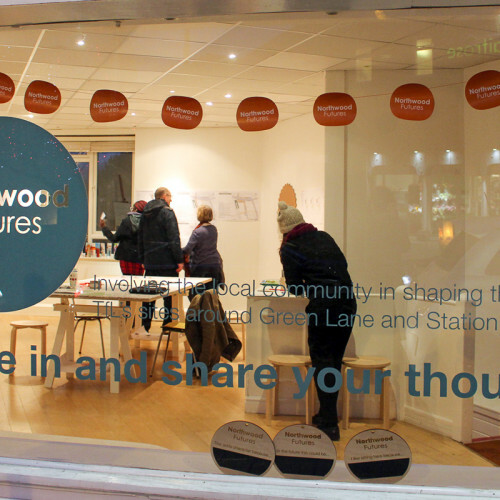 The project involved building trust and opening up local dialogue following an unsuccessful development proposal which had been unpopular with the local community. 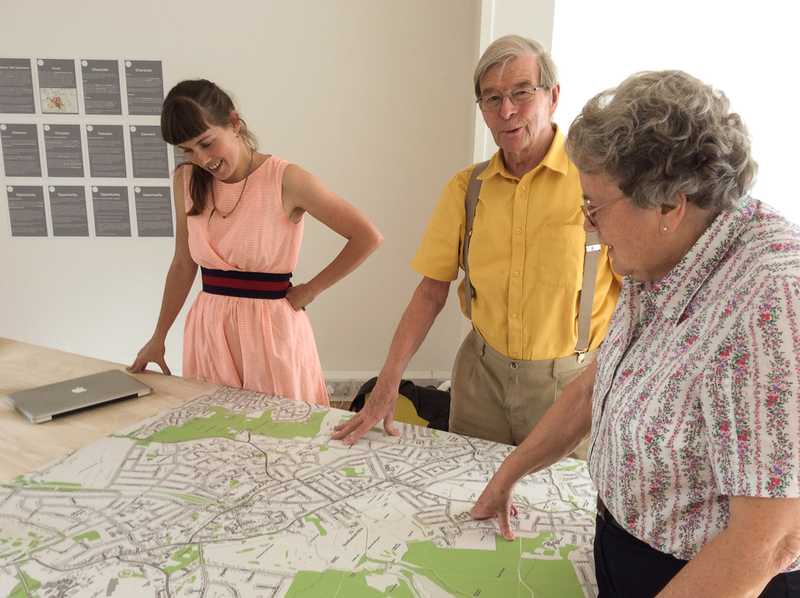 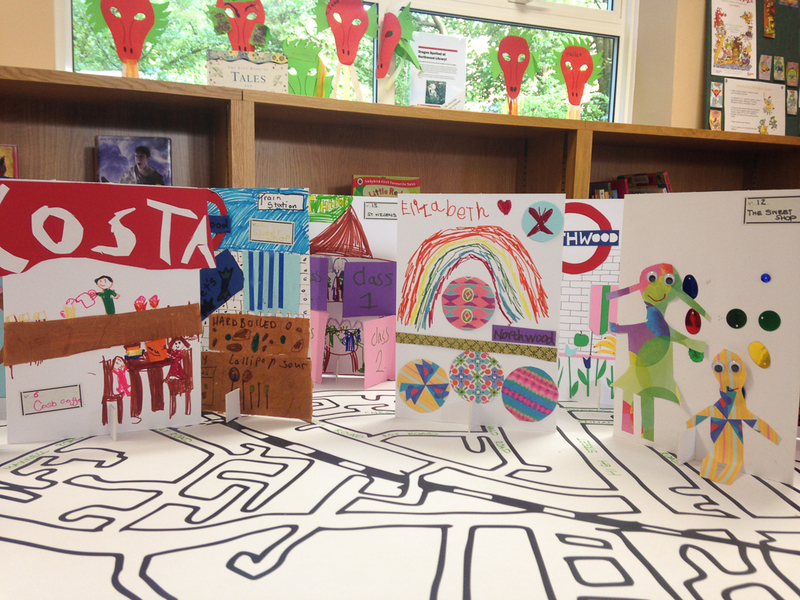 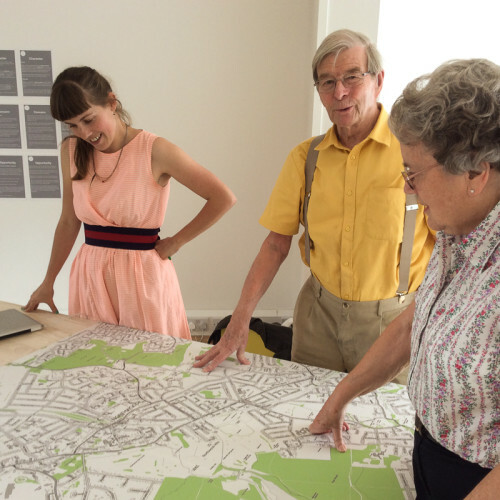 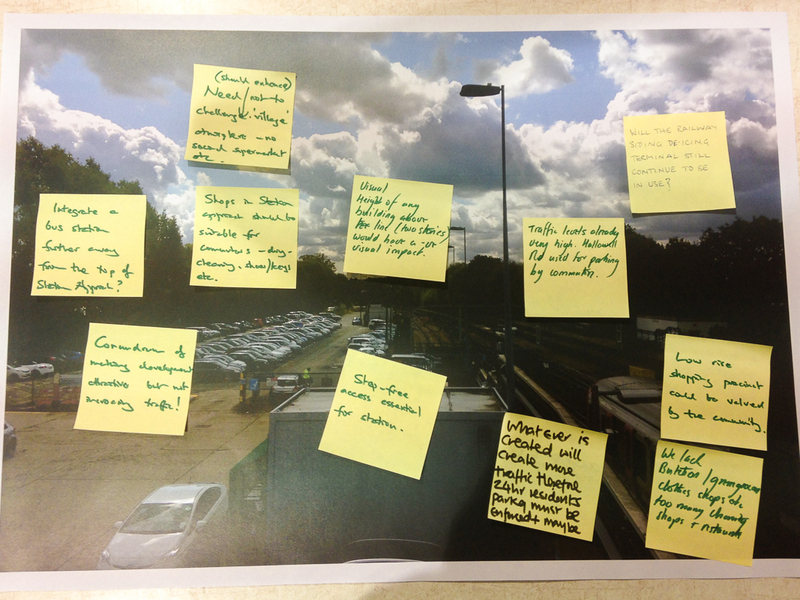 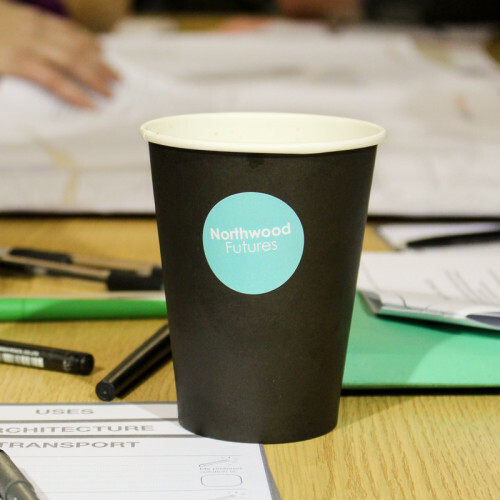 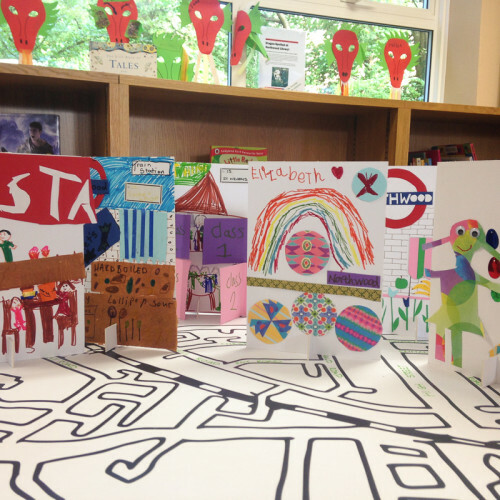 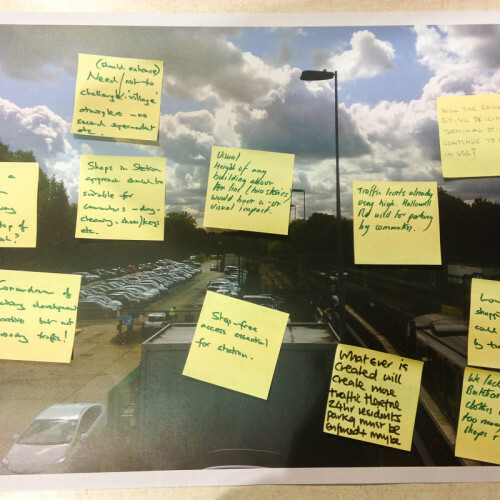 The Northwood Futures project talked to and worked with as many local people as possible to understand and support what’s great about the area as well as harnessing local aspirations and concerns around change into shaping planning proposals for the future of the sites. 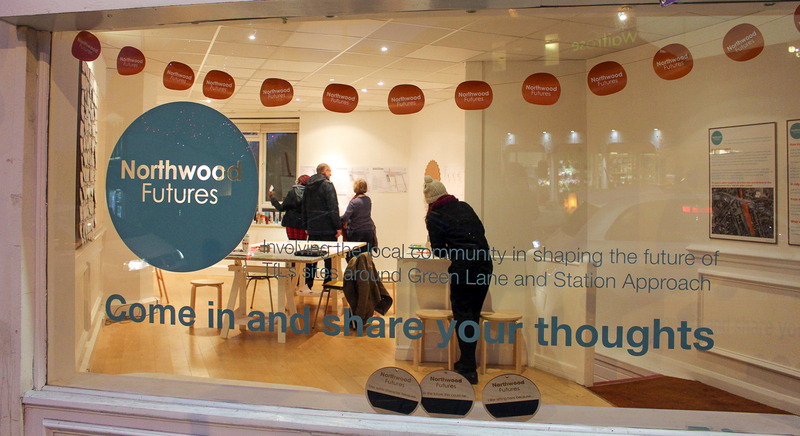 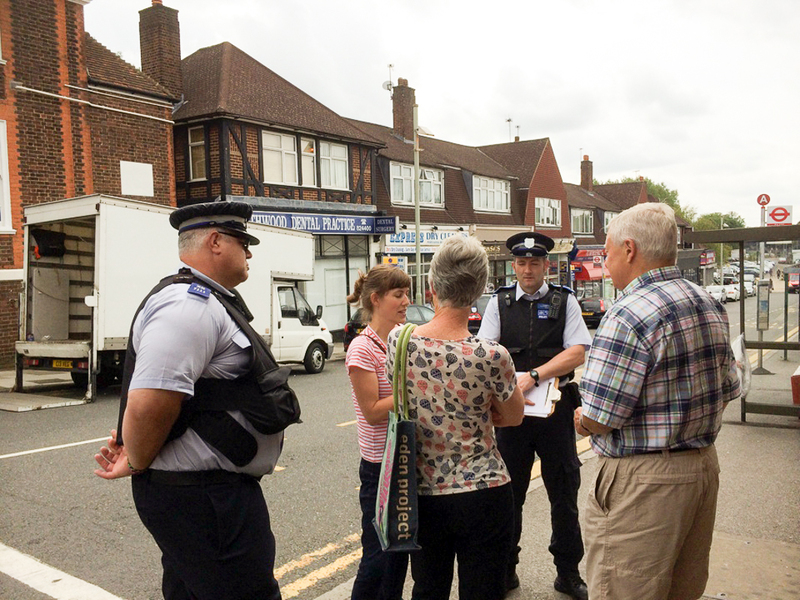 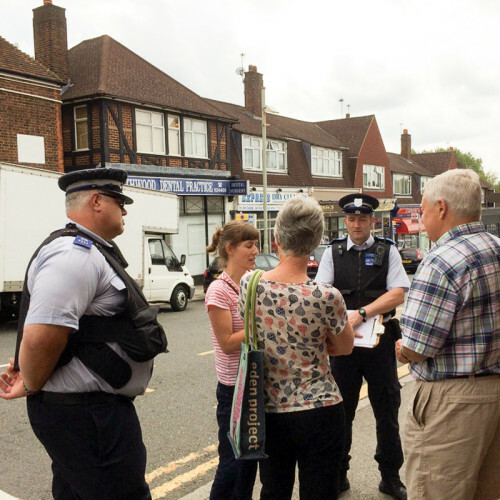 Stage 1 (3.5 months) we conducted extensive local outreach and invited people from Northwood to engage and share their views on the possible future for the sites. 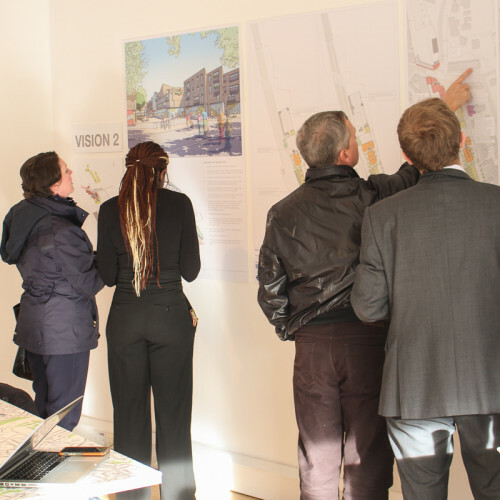 Stage 2 (3 months) two feasibility stage design visions were presented to the community and local responses were extensively gathered to further shape the proposals. 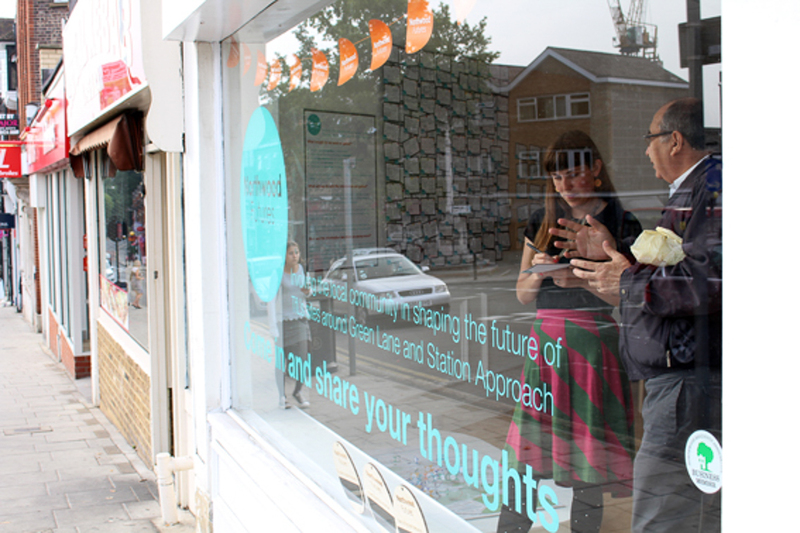 One vision was selected by the community and taken forward by the design team. 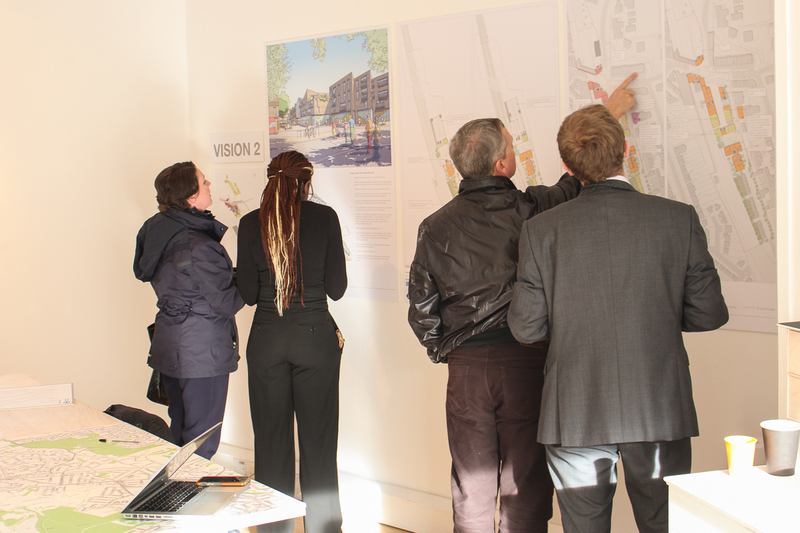 Stage 3 (4 months), we held a public exhibition of finalising designs and welcomed feedback. 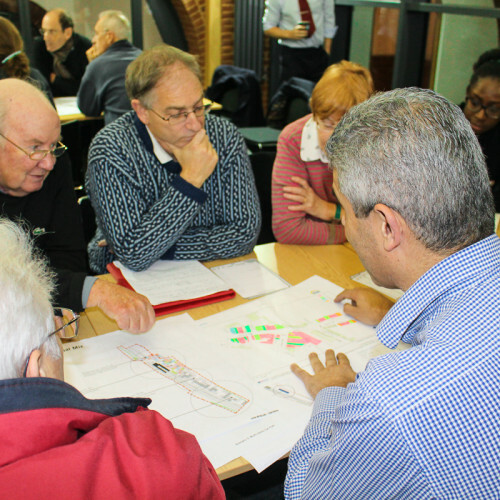 In September/October, the final plans were presented at a consultation event where we gauged overall agreement with the scheme. 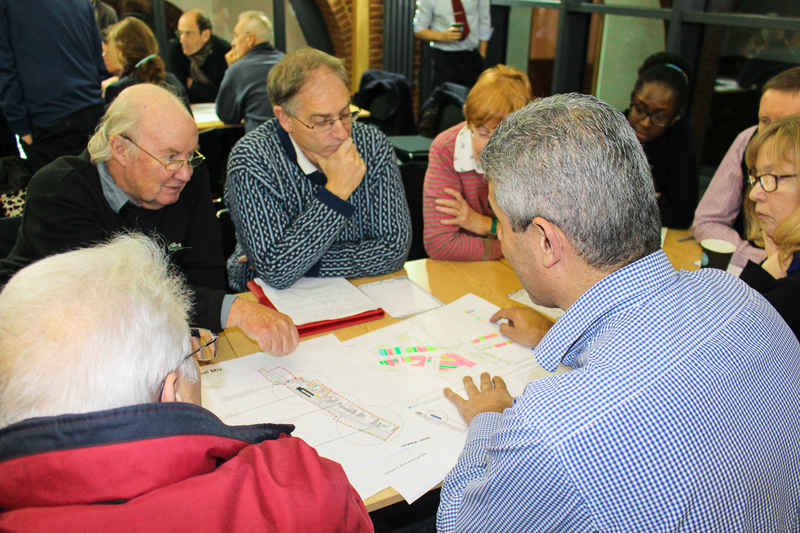 We started the project with extensive stakeholder mapping to help us reach a broad and representative range of people. 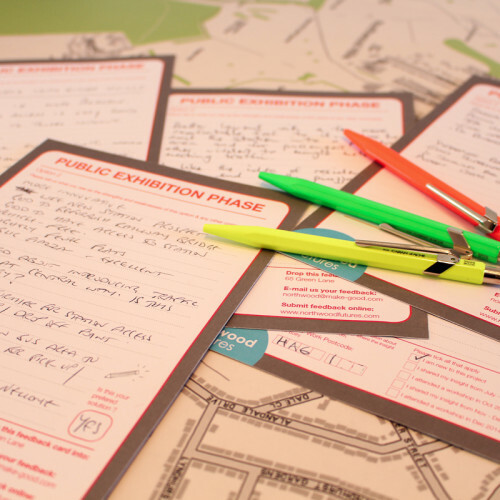 In order to be as inclusive as possible we organised a variety of communication, outreach and engagement methods, which lasted throughout the project. 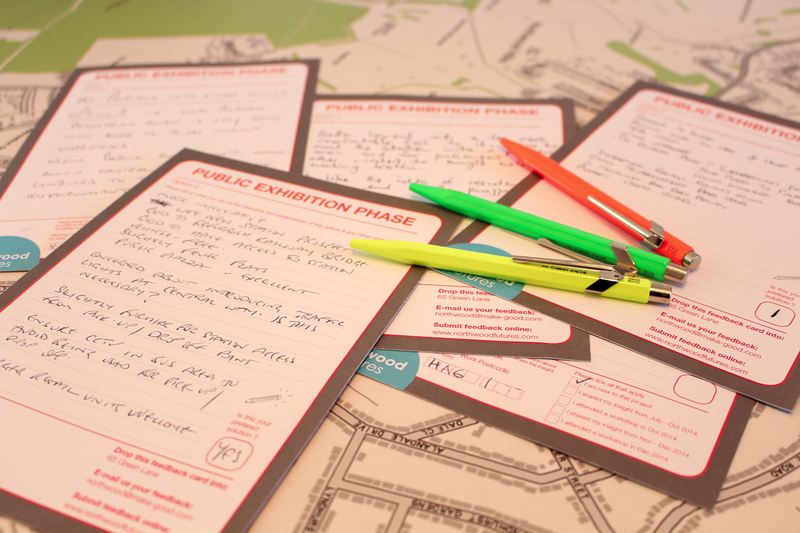 These included a project website, a Twitter account, notices in local newsletters and noticeboards, a mailing list and flyering. 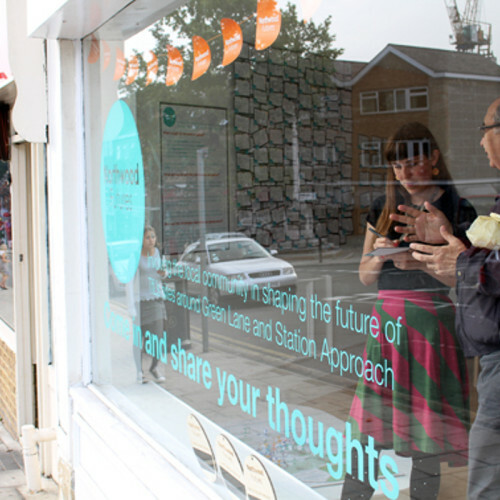 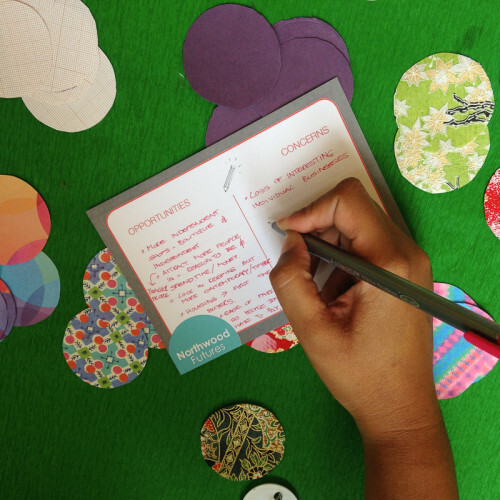 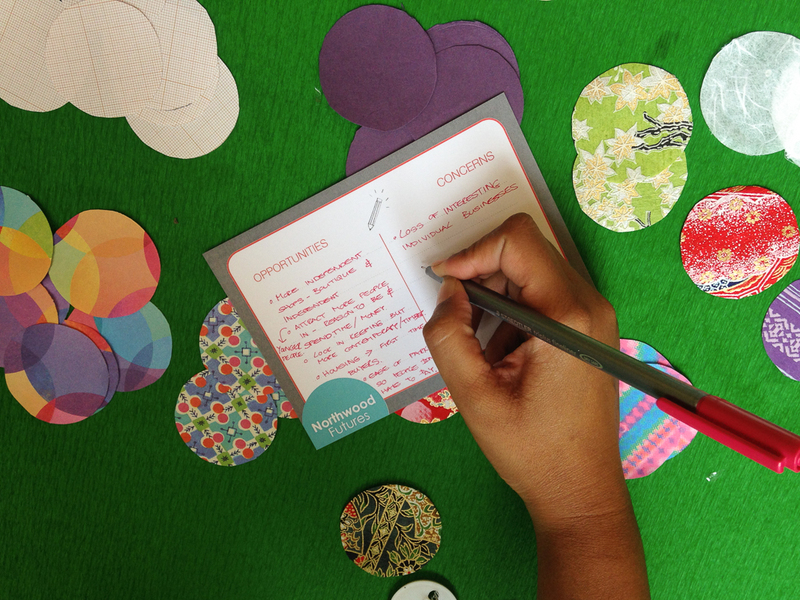 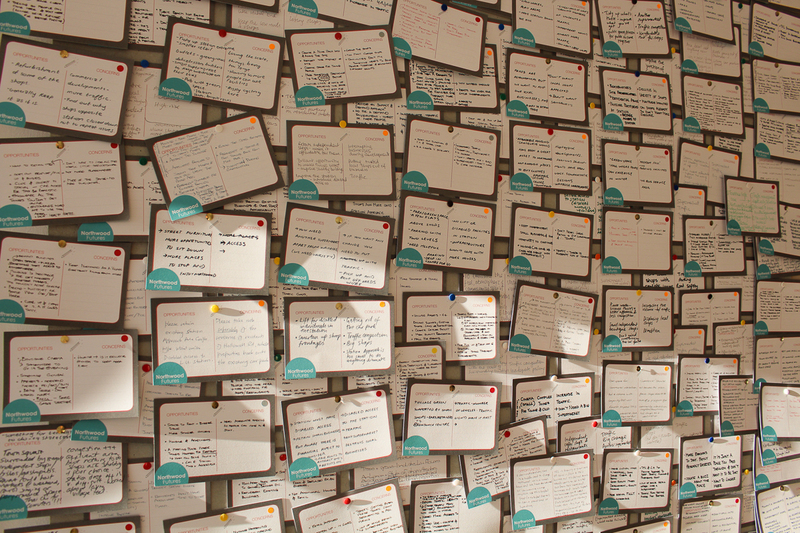 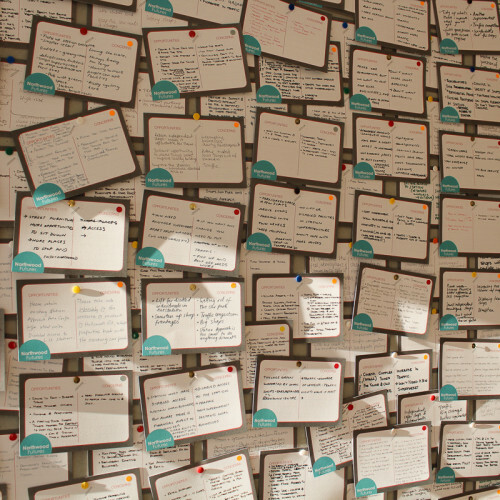 Face-to-face engagement involved one-to-one meetings with key stakeholders, large public meetings, attendance at local events and meetings, community-led walkabouts, “popping-up” in the station, public workshops, exhibitions and a 12-week residency in a local empty shop, which became our project hub for discussions, exhibitions and insight gathering throughout the project.